Generally, the swans are more likely to be found in northern regions, but there are some exceptions. 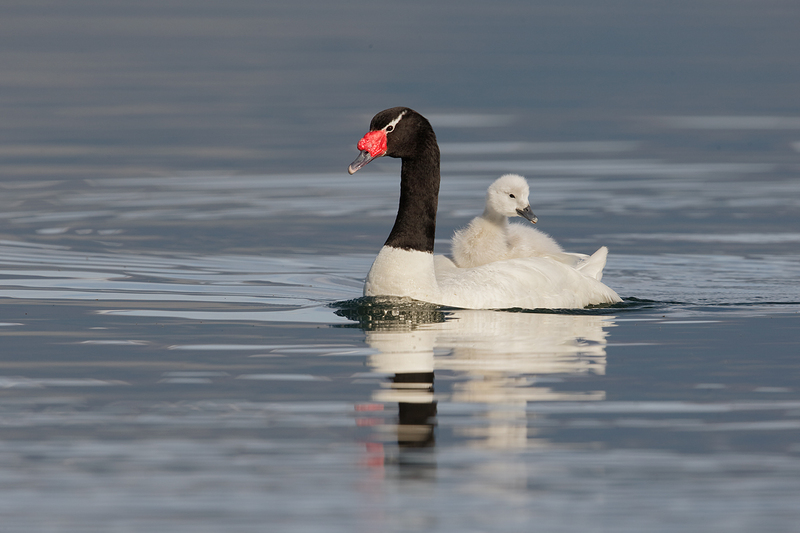 For example, there are smaller species of swans that are located in the South America. 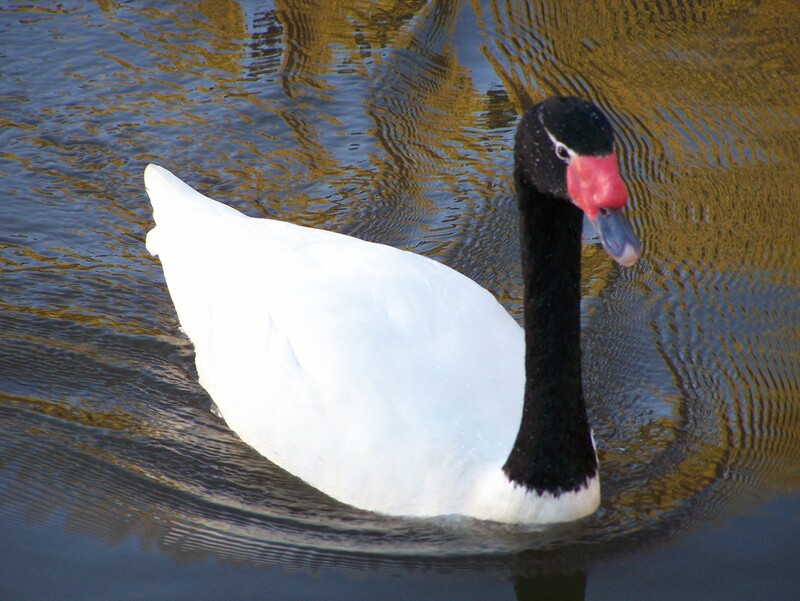 One absolutely incredibly looking swan species is the Black Necked Swan, which is indeed something unique. These swans are tolerant and gentle in nature, but breeding seasons can turn them into some very territorial creatures. 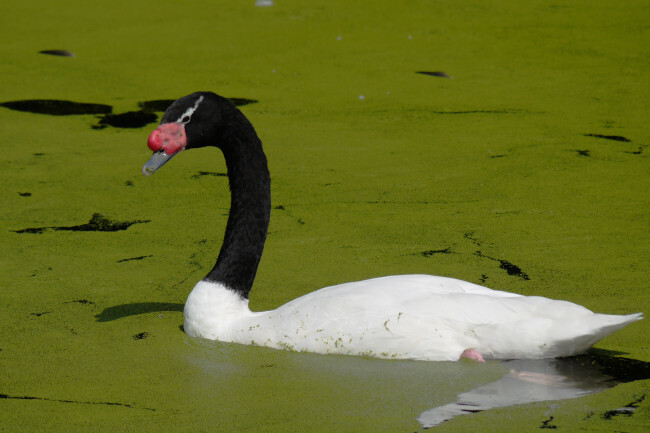 Despite the fact swans generally prefer fresh water, the Black Necked Swan will do just as well in marshes with semi salted water. The base of their food is consisted of insects, fish and certain vegetation, but a certain breeders opt only for vegetarian food for their diets. These creatures are not making a lot of noise, they communicate through hissing and whistling, but in a soft manner. 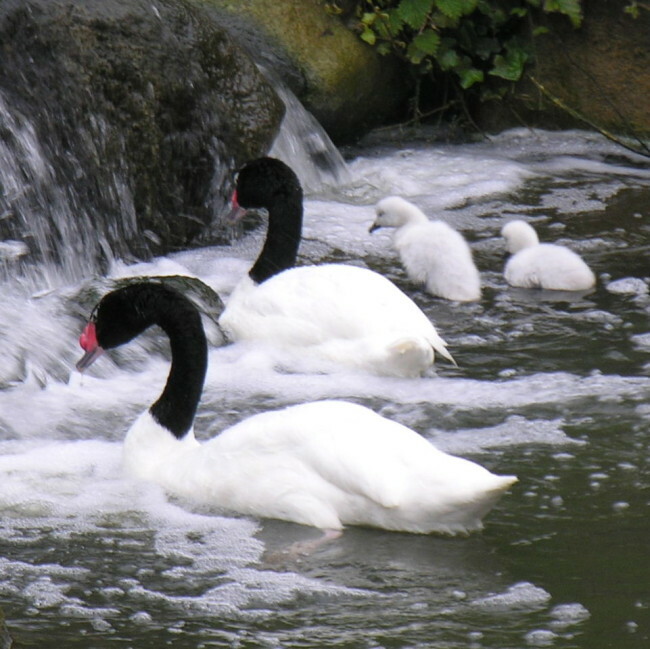 Black Necked Swans are a bit more sensitive to cold and normally require larger water areas than other breeds of swans. 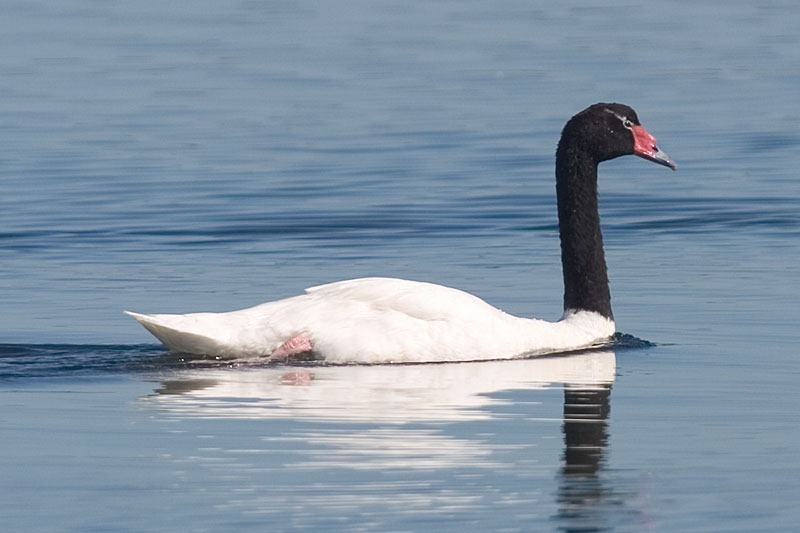 Adult Black Necked Swans can reach about 130 centimeters at most in length and a weight around 7 kilos at most. Females are smaller in size than males, of about two thirds. The color pattern of these swans is simple, being all white except the head and the neck which are, obviously, black, giving this unique look. The bills are gray colored and are provided with red lobes in the areas around their bases. The link between the bill and the eyes is made through a white line. 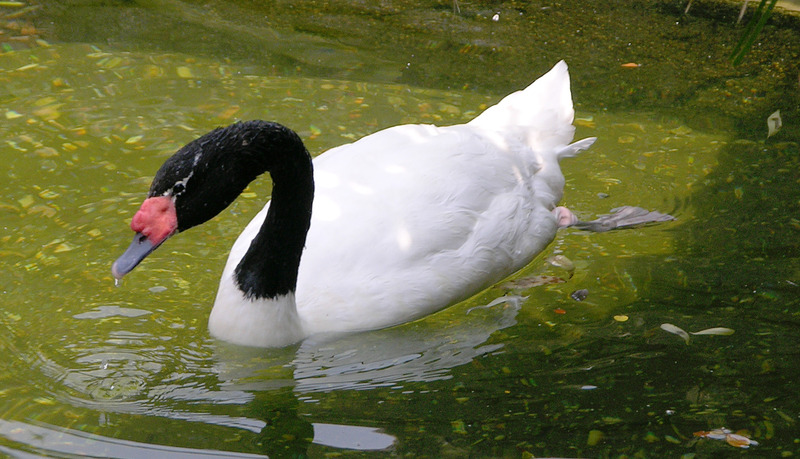 Black Necked Swans are fonder of swimming rather than walking due the position of their legs, situated towards the rear part of the bodies. These swans are valuable when in captivity because of their beautiful looks and tolerant nature. They are found in greater numbers in Southern Brazil and further to the South. 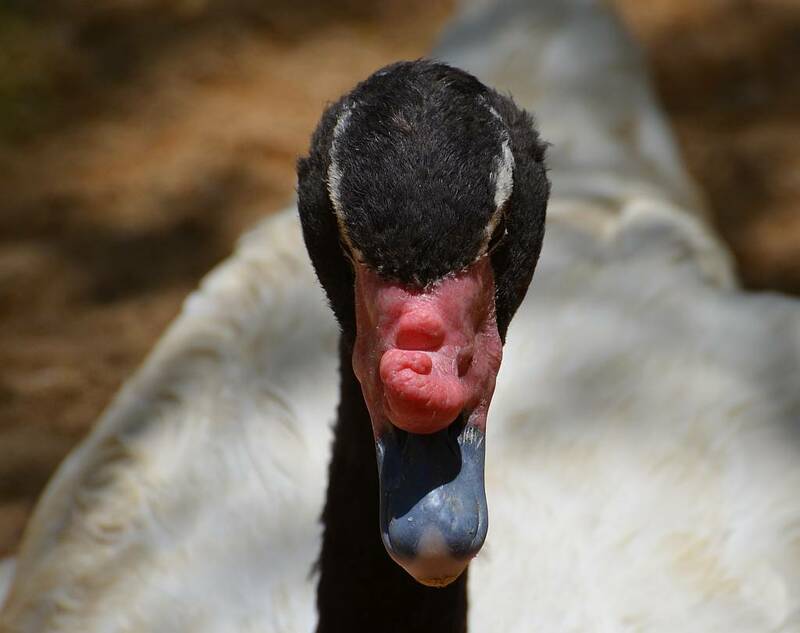 When in captivity and breeding season it’s best to separate the Black Necked Swans due to their territorial instincts, otherwise they are peaceful and tolerant even with other birds. The nests built by the Black Necked Swans are rather temporary and simple in structure and will be bravely defended during breeding periods occurring late in the summer. Incubation period for their eggs is of about thirty six days and usually there are five cygnets raised. The parents will carry them on their backs while not feeding and the little ones will be fully inherit the black & white color pattern when they are about two years of age. Rare in the Northern Hemisphere, the Black Necked Swans will need some protection from cold, as they can start laying eggs even from January.